If your exit strategy is to buy and hold a property, and over time increase its value, then a great way to do that is through what is known as repositioning strategy . It’s essentially a re-branding of a property via exterior and interior changes. Some of these changes are capital improvements, introducing new amenities, renovating kitchens and bathrooms etc. They help to transform it into a higher class property. This in turn allows you to attract more quality tenants. As a result permits higher rents and ultimately higher value for your asset. Here is gist of a real estate repositioning strategy. Take a “C” class property that is located in a “B” class neighborhood, and reposition it, or transform it into a “B” class asset. This will increase your cash flow, and as a result, increase the property’s value. Forced appreciation is a wonderful thing ladies and gentlemen! This is why “B” and “C” class properties are a target niche for many investors. You need to be careful though and do your research. Ensure the exit strategy you wish to implement will work for that specific property. For example, if you take a “C” class property in a “C” neighborhood and try to reposition it to a “B+” or “A” class, you may not be as successful as the scenario described above. “A” class tenants may find the neighborhood a less than desirable place to live despite the improved condition of the property. 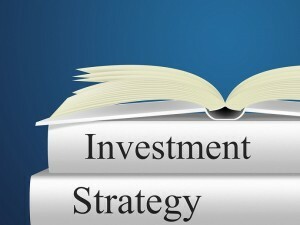 Learning how to invest in real estate using a repositioning strategy can be labor intensive and heavy on the pocketbook. But, it can be a lucrative venture if done property. If the right market conditions exist and the numbers make sense to implement a repositioning strategy, then bringing your property up a notch could be a great pay off. It could bring you that much closer to financial freedom. If you want to learn more about how investing in real estate can benefit YOU, Contact us.